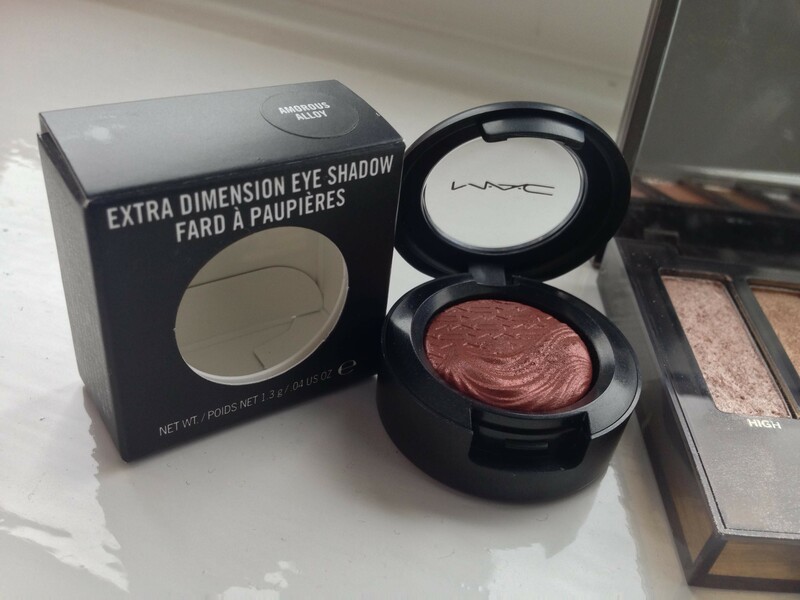 I instantly fell in love with this shimmering, extra dimension shadow when I spotted it on the Mac eye-shadow counter. Priced at about £16 but reduced in a 10% sale at Beales, I had to invest and with a voucher to spend, couldn’t resist. I’m chuffed with the results – it’s almost a fusion of my favourite orange and purple shades. Boasting a really shimmery, popping 3-D appearance when applied, the shadow perfectly complements my Urban Decay Naked Illuminator, and in fact, will flatter all highlighters. For this specific look (shown in the video below) and for my first attempt at using this shadow, I decided to blend the shadow into the crease and along half of the lid, combining this with ‘High’ from my Naked Smokey Palette and huge flicks. I’d quite like to blend this with an orange in the future for a nice contrasting look, so please stay tuned for future videos and pictures. Follow my blog for more beauty and fashion posts.